xAssets is a leading developer of configurable IT asset management and fixed asset management solutions. Key benefits of our software include a cross browser web interface, rapid deployment and rapid return on investment, accessible pricing, high levels of security and scalability, powerful discovery and integration tools and the ability to meet almost any requirement quickly through configuration. xAssets has major corporate and government customers worldwide, is a Microsoft Certified Partner, a member of the International Association of IT Asset Managers (IAITAM) and an SIIA member. Our solutions are used by many well known enterprises including Panasonic, Fujitsu, BMW, Saint Gobain, Andersen Tax, Plantronics, American Sugar and Insight plus Police Forces, State and Local Government organisations, and Universities in the USA and UK. We provide proactive, consultative support to customers throughout the product lifecycle and we always ensure that customers requirements are met or exceeded. "Customers choose xAssets primarily because we deliver a complete solution at accessible pricing levels, with the customization and support needed to ensure that customer requirements are met or exceeded. Our technology is deeply configurable, allowing us to add functionality and meet requirements that cannot be met by more expensive competitive products." The technical people our customers have access to are highly trained product specialists with in-depth knowledge of the products, the technology and the strategic business issues surrounding these implementations. This enables all communications to be optimally focussed on outcome without having the usual problems of accessing people with the right expertise or by being given the wrong answer by an underqualified technician. We have been implementing our solutions in both hosted and customer environments since 2001, with substantial exposure to large and complex networks, unusual accounting scenarios and other similar difficulties that can only be found "in the field". Our products are unique in the way they can be quickly shaped to a customers requirements with very little work. One customer remarked that we had achieved in three weeks what they tried to do with Remedy by putting a team of developers in for a year ! xAssets products have undergone rigorous testing and are certified for use by the US Air Force, and covers SIPRNET and NIPRNET meaning that the products can be used in highly sensitive environments. Since we started hosting in 2003 we have served solutions to military forces and suppliers thereto in the USA and the UK, and in that time we have never had a service outage of any kind. Our unique technology allows us to meet customer requirements in very short timescales, our reliability enables us to support many customers without a huge support overhead, and our scalability allows us to provide excellent performance without requiring excessive server specifications. This translates to lower pricing for customers without compromising on service, performance, quality or reliability. xAssets puts its people and its customers first. All we want is your success and we are driven both in our labs and in our support and implementation operations to ensure that customer requirements are met or exceeded, and that full utilisation is achieved. Reliability, Security and performance are also of paramount important to us, so we exclusively use Microsoft Server products, we only use high-end Xeon servers, and our servers are hosted in the most reliable and hardened datacenters available. xAssets has reinvested substantially in research and development in its 15 year history and our latest project is a eight year development released in April 2018 and represents the most scalable, secure and top performing browser based asset management software. We have some high performing, market disrupting products that we are changing the marketplace for asset management software substantially by bringing all our functionality into a single easy to use platform which will be very competitively priced, very easy to configure, and very easy to use. 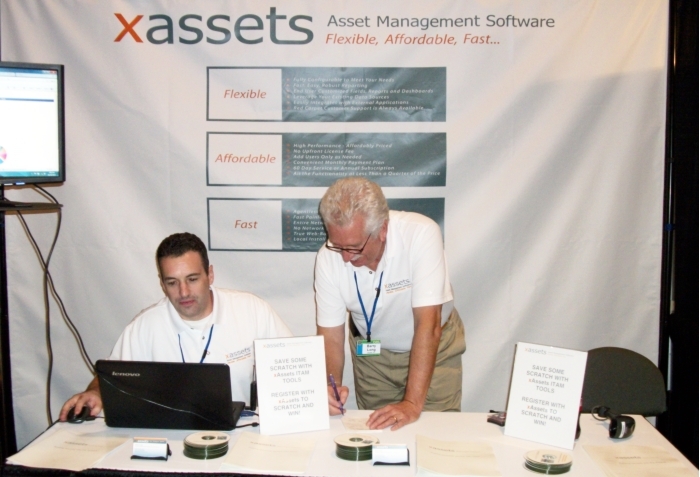 xAssets was formed in 2001 after 2 years of speculative product development for a configurable browser based asset management platform. After two further years of development, customization and beta testing with three global enterprise clients, we made our first sales in 2003 and since then we have grown to be the preferred suppliers of asset management solutions to enterprises in the UK, the United States of America, Canada and Australia. We provide solutions to enterprises in Asia and South America. Our aggressive product development strategy since 2001 has led to us being able to offer a suite of solutions that not only meet the needs of typical businesses around the world but also can be shaped, without programming, to fit the needs of virtually any business with the need for an asset management solution. Our "Intensive Support" initiative consolidates and clarifies the approach we have taken since 2004, to ensure that every customer's expectations are exceeded and that every installation is a success. Support goes beyond the classical approach of receiving incidents and processing them through a help desk. We give direct support through product specialists who can advise on strategy, approach, and configuration measures to achieve customer objectives. xAssets is a Microsoft Certified Partner with ISV, SAM and Security Solutions certification. We are also an Oracle Business Partner and an IBM Business Partner. Our products are built using the latest Microsoft ASP.NET, .NET Framework and Microsoft Sql Server tools and technologies. We have the optimum architecture for scalability, integration, federation, disaster recovery and customization, while also being one of the most stable products available. The product architecture allows us to bring new products to market very quickly, based on the same core framework that is the foundation for all our products. This leads to xAssets being a flexible and responsive supplier and business partner. There are many reasons why customers choose xAssets technology over competitive solutions. The depth of configuration in xAssets products is unusual and the lack of complexity in its implementation is impressive. Customers can completely reconfigure all menus, processes, data entry screens, asset lists, asset data fields and reports, whereas many customers are happy with our out of the box solutions. The xAssets Enterprise framework (the basis for all xAssets Enterprise Family products) was designed from the ground up to use XML communication from a Microsoft Sql Server Database. This allows customers direct access to our Application Programming Interface (API) through the XML standard and through .NET Web Services which will be familiar to your in-house development staff. Integration was another key element in our design specifications. All xAssets Enterprise family products allow easy integration through our browser based "Data Transformation Wizard" which can take data from anywhere, transform it into another data form and send the data to anywhere. In xAssets Enterprise Family Version 5 products this easy to use and yet powerful architecture is used for Web Services, Imports, Exports, Email connectivity, Mail Merge, Internal Event Triggers and Reports. xAssets works proactively with its global customer base to build the solutions, benefits and features required. Since its formation in 2001, xAssets has worked with key companies of all sizes to help its products evolve and progress. xAssets has chosen its technology and integration partners carefully. For example, CTMS in the UK carries considerable specialist expertise in the subject of Asset Management Integration and has a number of xAssets technology specialists. xAssets has a substantial business partner network around the world as well as direct sales functions in the USA and Europe. xAssets has support infrastructure in the US and the UK, as well as business partner support agreements in other countries. xAssets was the first developer of a browser based asset management application. We knew early on that the cloud hosted model would be relevant but we also knew that large enterprises would have specific security requirements that would require a local implementation. Therefore we support the cloud hosted model but we also provide locally deployed solutions. We also realised that Agent based discovery solutions are untenable for many companies due to the difficulty of deploying and managing client side agents, and many vendors agents soak up too much local CPU and network bandwidth. We also knew that pure Agentless solutions are problematic. Our developers were able to develop a combined solution based on Agentless technologies but also utilising advanced features of WMI and other windows technologies to work around the problems experienced by other agentless solution vendors and today we can offer a complete solution which enable administrators to discover all computers correctly without compromising workstation performance or network usage. Our vision also extends to integration and federation. xAssets has one of the most powerful integration engines available. This enables us to sell asset management solutions alongside other discovery tools, IT management tools, patch management tools and accounting systems. xAssets product architecture enables xAssets to quickly construct new products aligned to a specific markets and to quickly construct custom solutions for large enterprises. This flexibility is unique and combined with our global presence and compelling value proposition places xAssets in an excellent position as THE future vendor of asset management solutions to the global marketplace. Asset Management can sometimes be a complex and long sales cycle. We cut sales cycles by giving the proactive support needed throughout presales to provide proof of concept, and our pricing is proportionate and accessible to companies of all sizes from mid sized through to large enterprises. Deployment of xAssets Solutions is usually much quicker than competitive vendors. We often complete Enterprise implementations with complex workflow requirements with 5 to 10 days services and mid-sized companies can usually be up and running with one days services and minimal training. xAssets is privately owned and is incorporated in Delaware and in England.